Would you like to download pictures from your Facebook account and your friend’s Facebook pages? Here’s a nice web app that can help you quickly download your pictures so you can use them anyway you want. If you’d like to download pictures from your Facebook account and your friends pages, Pick&Zip is a great tool that lets you download as many pictures as you want in a zip or PDF file. Head over to the Pick&Zip site to get started (link below), and click the Login with Facebook button near the bottom of the page. 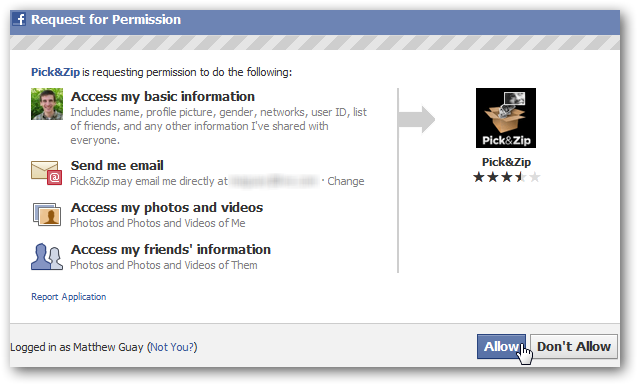 Pick&Zip will need access to your profile information and pictures, and also asks for your email address. Click Allow to let Pick&Zip get this information from your profile. Or, if you’d rather not give Pick&Zip your normal email address, click the Change link beside your email address. Now you can choose to have them email you at a private, anonymous Facebook email address. Now the Pick&Zip app will load in your browser. Note that this is a flash-powered site, so if you usually block flash content you’ll need to allow it for this site. 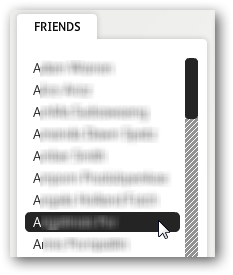 Once its fully loaded, select a friend’s name from the left sidebar to view their pictures. Note that the list is ordered alphabetically, and does not let you search for a friend’s name, so if you have a large number of friends you may have to scroll down to find the friend you want. 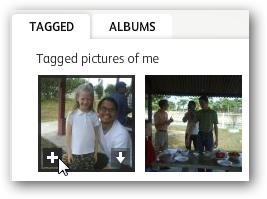 You can view the pictures your friend was tagged in, or select the Album tag to see the pictures they’ve uploaded in albums. Note that some friends may have configured their security settings to not allow apps to access their pictures; if so, their accounts may not show any pictures even though they do have pictures on their Facebook page. 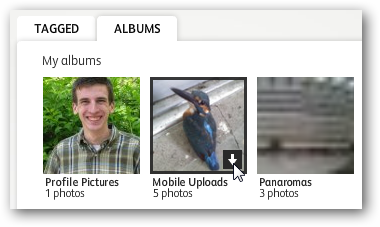 You can also access your own pictures from the find my pictures button near the bottom of the page. When you hover over a picture in Pick&Zip, you’ll see a small plus sign and an arrow appear. Click the plus sign to add the picture to the download queue so you can download all of your pictures together. Or, if you’d rather just download that one picture, click the arrow to go ahead and save that picture to your computer. Or, from the Albums tab, you can directly download a whole album. If you’d rather browse the individual pictures in an Album, click the middle of the album thumbnail to open the Album. Then you can select individual pictures and add them to the queue as before. Once you’ve selected all the pictures you want to download, click the Review & Download tab at the top. Select if you want to download the pictures as a zip file or a PDF. 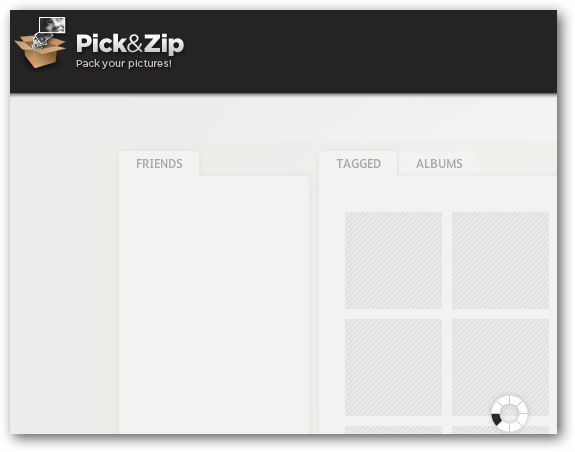 Pick&Zip will then process your pictures. This may take a few minutes, depending on the number of pictures you’ve selected. When its finished, click Save to download the file to your computer. 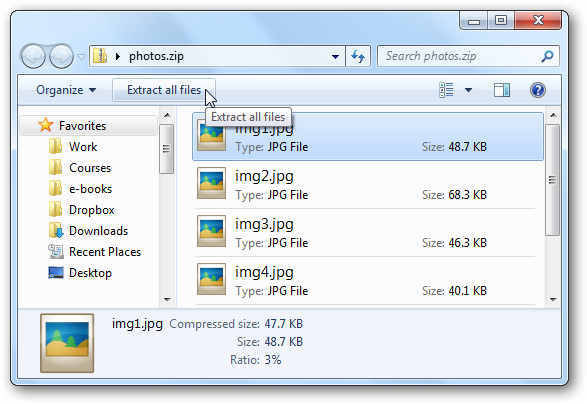 If you download the pictures as a zip file, they’ll be saved as individual JPG files. Note that your pictures will not contain their original file information such as name, tags, and other metadata. 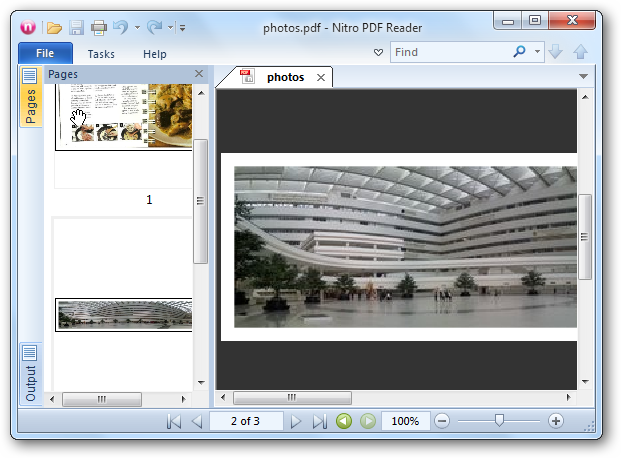 If you chose to download the pictures as a PDF, each picture will be an individual page in the PDF document. The pictures seemed to be lower quality in the PDF as well. Whether you want to make a scrapbook of your Facebook pictures or simply want to make sure you never lose the photos your friends have shared with your, Pick&Zip is a great tool that makes it easy to do this. We found it quick and easy to use, and especially liked the ability to download all of the pictures in a zip file. As always, do respect your friend’s wishes with their pictures; after all, they could always get you back online, too!